rançois Servin at Domaine Servin in Chablis grew up tasting vintages like 1929, 1947 and 1959. This shaped his view on what a wine from Chablis should be like. – I learnt to taste with my grandfather, because I lost my father when I was 14, explains François Servin. For me it is important to keep the original style of Chablis. It is a wine with a full palate and long finish. For me a good Chablis is not a wine which is very elegant when young. Chablis for me is a wine which is good over 20 years. There has been Servins in Chablis forever. Well, for centuries at least. The family can be traced back to 1640. In addition Jean-Paul Droin, of Domaine Droin, has found documents from 1547 listing the owners of the Chablis vineyards and Servin was one of them. – My grandfather only had four hectares of vines, says François Servin. There was always the threat of frost, mildew and oidium. He only had a normal-sized harvest every three or four years. There were even harvests where he would end up with only one barrel in the cellar. 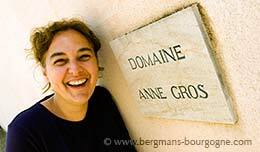 – In the generation before my grandfather all winegrowers in Chablis had two or three jobs. They had to, in case anything happened to the harvest. Today Domaine Servin covers 32 hectares. 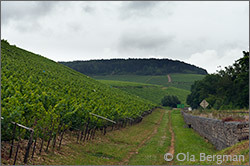 It is all Chablis, from Petit Chablis up to four grand crus – Blanchots, Bougros, Les Clos and Les Preuses. 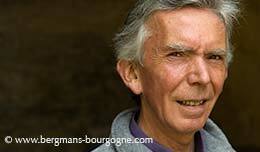 François Servin describes himself as a traditionalist, reluctant to change anything in the vineyards. 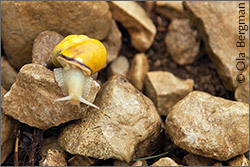 Being located in Chablis, which pretty much is the northern limit for the chardonnay grape, he feels that organic wine-growing is too risky. Still, he’s paying more attention to nature today, using less chemicals, than before. – I’m not ready yet for organic wine-growing, he says. If something goes wrong you can’t save the harvest. About one third of Domaine Servin is one single parcel. 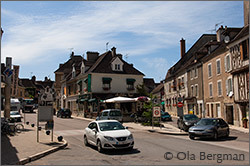 Four kilometres south of Chablis, between the premier crus of Montmains and Vosgros, you will find Les Pargues. In the past this was considered to be on par with what would later become the premier crus. But when the classification was made, Les Pargues was left out. 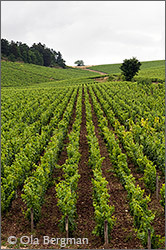 – During the phylloxera all vines in Les Pargues disappeared, says François Servin. When the premier cru classification was made during the 1920’s and the 1930’s they felt they had enough of premier crus before they got to Les Pargues. At the time Les Pargues was a forrest and it was up in the hills, and not very close to Chablis. My father and a few other growers started to replant Les Pargues in the 1960’s. 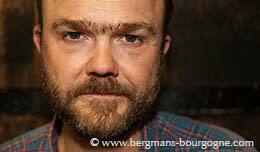 His father tried to have Les Pargues reclassified as premier cru, but without success. François Servin doesn’t see it happen either. – That would be impossible, he smiles. It would start World War III in Chablis. 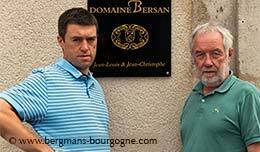 The Domaine Servin part of Les Pargues is eleven hectares. All is one single parcel. In the vineyard François Servin is a firm believer in sélection massale, propagating new plant material from selected vines in the vineyard. Four hectares of Les Pargues are sélection massale. Seven hectares are clones. – My father didn’t want any clones in his vineyards. He felt the quality was inferior. He died in 1978, so all vines planted up until then are sélection massale. Since then we have planted some clones. The 2001 vintage changed two things for François Servin. It made him realise that sélection massale was his thing and, despite previous convictions, there was actually a point in having different cuvées already on village level Chablis. 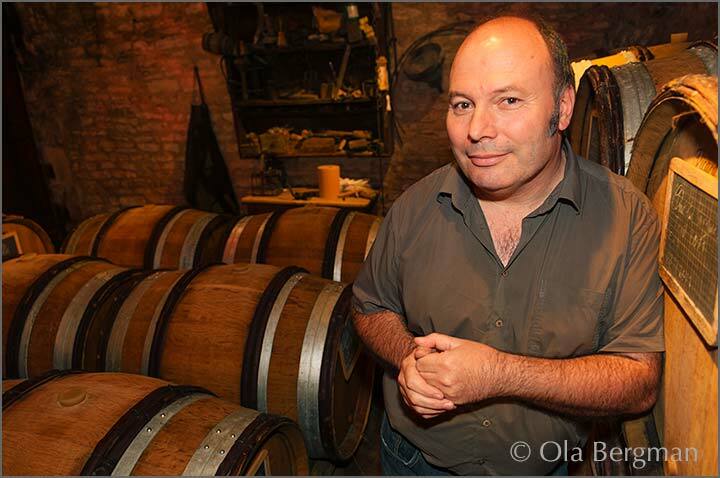 – Before 2001 I had been totally against special cuvées, explains François Servin. That year we had a small harvest. In Les Pargues the clones part produced 50 hl/ha and the sélection massale part 30 hl/ha. I decided to vinify them separately, even if I didn’t think it would be that much of a difference between the two. – I put them in two tanks. After fermentation and racking there was only a very small difference. The massale was slightly longer on the palate. After bottling the massale was the better one, but the difference was still not something that would justify a special cuvée. Then, six months after bottling, something had happened. There was complexity! From the on I stopped buying clones. 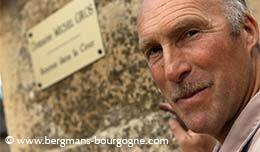 François Servin believes that the 1960’s and the 1970’s changed a lot in Chablis. The arrival of frost protecting meant larger areas could be planted. Areas particularly prone to frost, like the bottom of the slopes, could be protected. And with larger quantities of wine came new production methods. The barrels were abandoned in favour of the stainless steel tanks, because they were much easier to work with. – All my grandfather’s wines were kept in oak. But it was old oak. The barrels were used just for keeping the wine. They were not intended to add any oak flavours to the wine. If a wine was oaky it was a mistake. He bought his last barrels in 1947 and he used them for some 30 years. His last vintage was 1979. 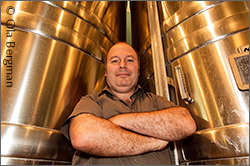 – When I arrived at the winery at the beginning of the 1980’s it was only stainless steel. The cellar was empty. But the barrels were still there so I felt I had to give it a try. I started buying new barrels and at the beginning it was a nightmare with all the new oak. After three four years of experimenting he came to the conclusion that not all his wines benefitted from oak. Some were better off left in tank, while others gained something from the contact with oak. For instance, the Vaillons gets 25 per cent oak, while Montée de Tonnerre and Blanchots stay in tank. – Preuses is a mystery. In the beginning I vinified it in barrel. But in February, after racking, it was really oaky. So I moved it to tank. I tried this two or three times and in the end I came to the conclusion that Presues probably doesn’t need oak at tall. So from then on fermentation was in tank. But something was still missing. I don’t know how to do it. Maybe fermentation in tank and ageing in oak is the thing.